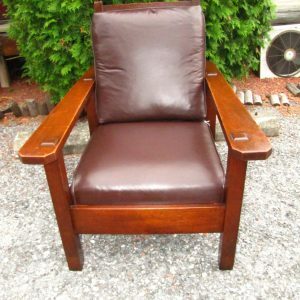 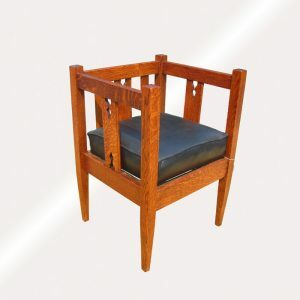 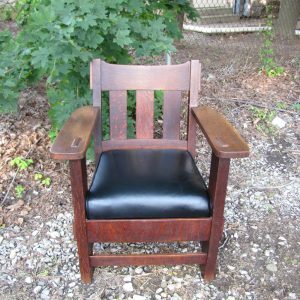 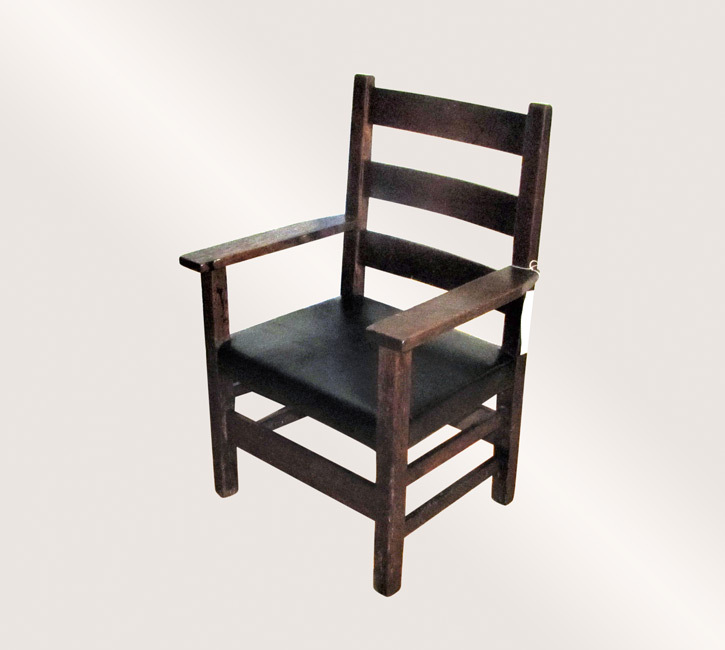 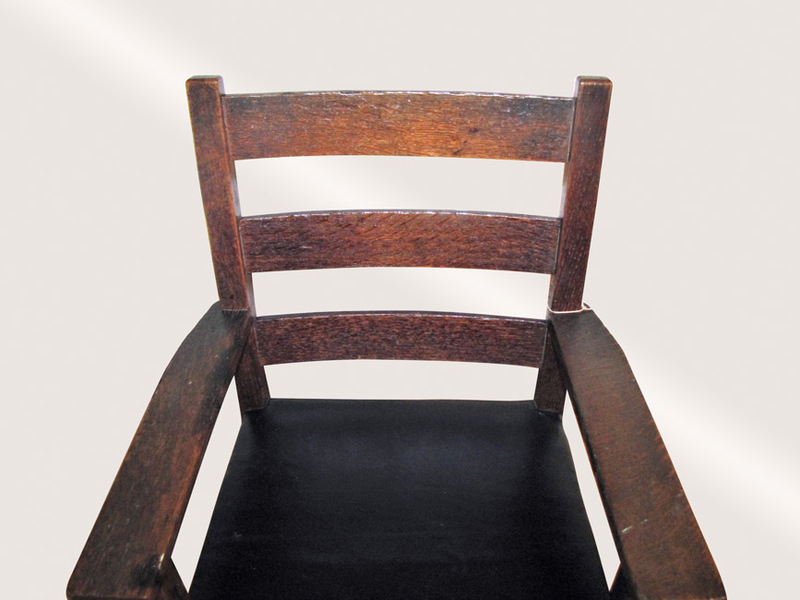 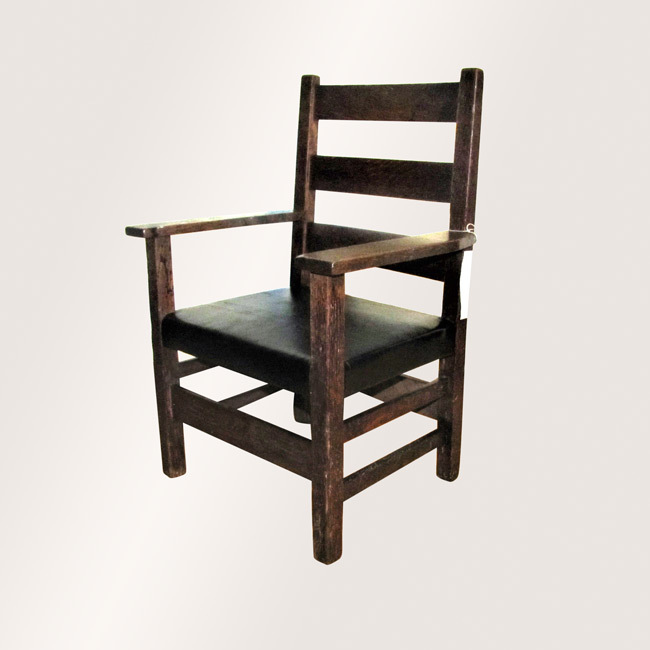 This is an Antique Gustav Stickley Child’s Arm Chair from the early 1900’s. 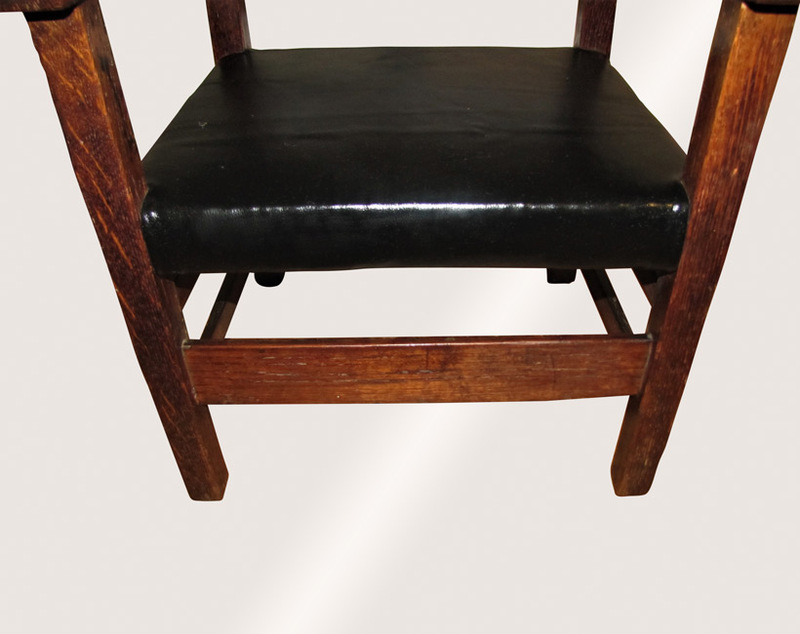 This chair has a nice black leather on the seat that is in great condition. 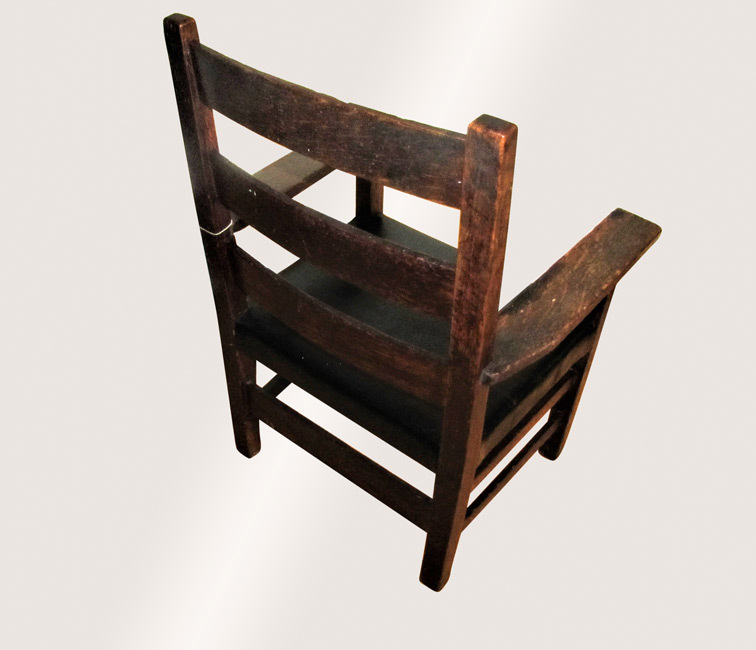 The chair does have some normal wear, but is a wonderful chair for a child. 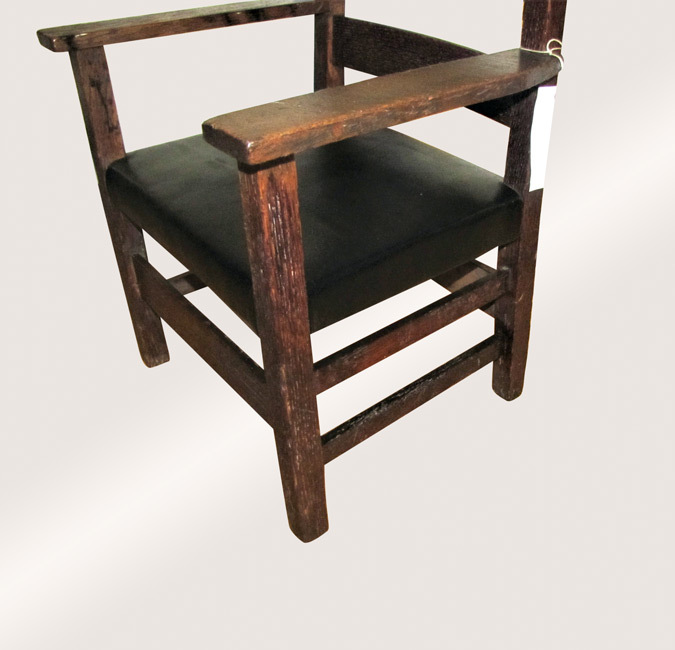 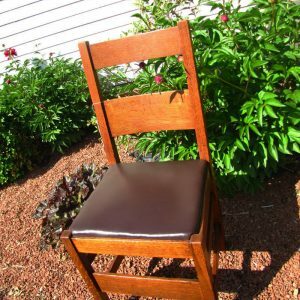 This chair is sturdy and strong and would make a great gift.